Former President Mohamed Nasheed’s ongoing trial on terrorism charges is “not free or fair,” contends NGO Maldivian Democracy Network (MDN), highlighting several irregularities in the hearings at the Criminal Court. 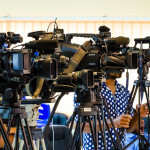 “It is with great desperation that the Maldivian Democracy Network calls upon the higher courts of the Maldives, the Judicial Service Commission, the Human Rights Commission of Maldives, the parliament and the president of the Maldives to acknowledge and restore justice with regard to the trial of former President Mohamed Nasheed,” MDN said in a statement on March 10. Nasheed is accused of ordering the military to detain Criminal Court Chief Judge Abdulla Mohamed in January 2012. Following international concern and opposition demands to release “political prisoners,” President Abdulla Yameen has said he could not interfere in criminal proceedings as the judiciary was an independent branch of the state under the new constitution. Listing 11 issues of concern with the trial, the democracy and human rights NGO noted that presiding judges denied Nasheed legal counsel despite repeated requests during the hearing on March 9. All four of Nasheed’s lawyers had quit in protest of the Criminal Court’s refusal to grant sufficient time to examine the prosecution’s evidence and prepare a defence against new terror charges pressed on February 22. On February 15, Prosecutor General Muhthaz Muhsin withdrew charges raised against the opposition leader under article 81 of the penal code for illegally detaining a government employee who has not been convicted of a crime. The offence carries a jail term of up to three years. However, the new charges of “enforced disappearance” filed under anti-terrorism laws carry a jail term or banishment of between 10 to 15 years. MDN noted that Nasheed’s legal team was given three days for the initial preparation and one day for witness evaluation. “All attempts by Nasheed’s legal counsel to appeal to the Criminal Court (one appeal) and the High Court (four appeals) have been rejected,” MDN stated. When Nasheed’s lawyers objected, MDN noted that the presiding judge asked whether it was a problem. Moreover, the judges blocked and ignored Nasheed lawyers’ attempts to “negate state witnesses” under High Court precedents, MDN said. The judges also refused to admit or hear defence witnesses, claiming they could not negate the prosecution’s evidence or witness testimony. Referring to video footage submitted as evidence by the prosecution, MDN noted that two judges presiding over the case were at the scene when Judge Abdulla was taken into military custody. However, the judges have denied Nasheed’s lawyers’ requests to either recuse themselves from the case or be named defence witnesses. “The Criminal Court has refused to acknowledge international and local trial observers,” the MDN statement continued. MDN also referred to an incident on Sunday night where Raajje TV journalists were forced to delete footage of PG Muhsin allegedly meeting Judge Bari in a café. The Criminal Court subsequently barred all journalists from the station from observing trials. MDN stressed that the Maldives was a signatory to the International Covenant of Civil and Political Rights, which obliges the state to afford all citizens a fair trial. “We call upon the state to make all necessary lawful interventions into these unconstitutional acts and restore law and order in the country,” MDN said. "The judges also refused to admit or hear defence witnesses, claiming they could not negate the prosecution’s evidence or witness testimony." Where else have you heard a defendant being refused to produce witnesses in a trial? And the Maldivian regime is still screaming "fair trial"! I think even North Korea holds fairer trials than this. Basically the verdict is just a matter of time and they seem to think they can get away with it and still call it "due process". Who on earth do these fools think they are fooling? Wish they would use their God given brains to do something constructive for this country, its as simple as that. They have got away with so much that they keep going.. till one day it will bounce right back at them. They should stop this sham before its too late for them. Hope doesn't and shouldn't die that easily: we deserve better than these rascals. They need to wise up and grow up instead of being the boys with toys that they are. Yes they below with that other chubby lad in North Korea - although even he may not want to hang around with them in the playground. Trial will be good if the verdict comes in favor of Nasheed. This country need to be given to Kenerege as a gift ? A verdict from a sadhoom court is never fair, "Hero". It is only the "gifted" insane who can, and will accept that this as a free and fair trail! Satan and Injustice themselves will be laughing at this and thanking the judiciary and lawmakers of this nation for their effortless entry into injustice and into hell! Undoubtedly there will be someone who will have the last laugh! Ex-President Mohamed Nasheed is not a terrorist, He is amazing man and leader!